Another three Syrian dissidents were executed crucifixion-style over the weekend in Maskanah, a town outside Aleppo. 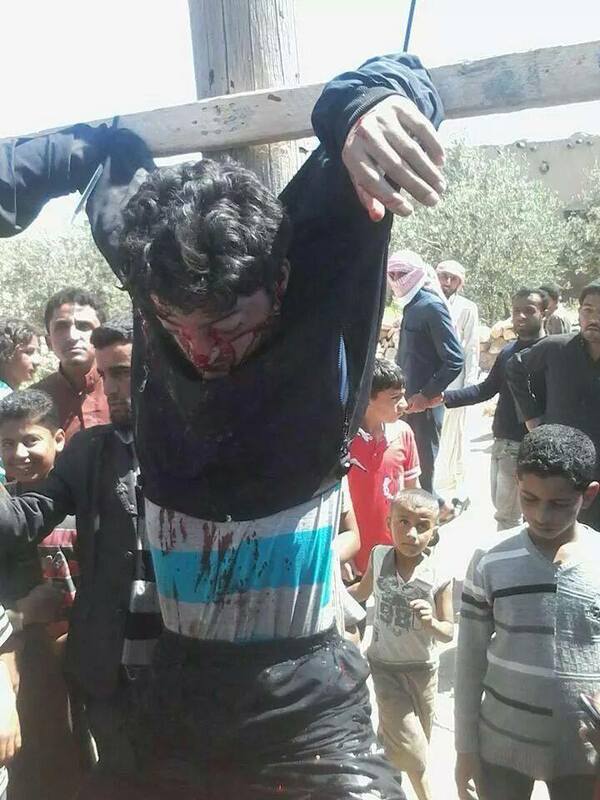 The individuals were executed by an Al Qaeda-linked militant Islamic group called Islamic State of Iraq and the Levant, or ISIS, and then hanged on wooden crucifixes in public where many, including children, watched, a dissident group leader told Mid East Faces. Terrorist leaders accused the individuals of apostasy; In this case, for fighting against the ISIS. Last week, militants executed two others in the same fashion in the northern town of Raqqa, which has fallen into terrorist hands over the last year. More than 150,000 people have died since the civil war began in March 2011.